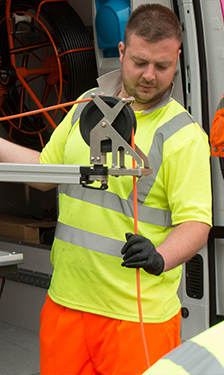 5 Star Drainage are skilled experts with the latest drainage technology and equipment. Our skilled technicians are able to work alongside clients to advise on drainage solutions during construction right through maintenance of existing drainage systems. We endeavour to deliver peace of mind for you and your business. We are there at you service 24hours a day should you need us. Our skilled engineers can advise on new builds and property renovation to ensure you get the best out of your drainage system. We have engineers on call 24hrs a day, 365 days a year for your peace of mind. We will be there for your business needs from drain cleaning, relining to reports and surveys. With state of the art technology, Five Star Drainage Ltd can work quick and efficiently to survey your drains and locate issues. Whether you have a new build or an older property that needs regular attention, we can offer competitive maintenance packages to ensure the smooth running of your business.